There’s no better time to discover the magic of Europe’s cities than autumn. You can nestle beside the fire in a bustling bar in Poland, warm up with rich food in Hungary or immerse yourself in the stunning scenery of Slovenia, all without breaking the bank. And, if you’re not yet ready to say goodbye to the summer sun, southern Europe has some hidden gems that stay warm throughout the autumn months. Nestled beside mountains, surrounded by vineyards and set on the banks of the Danube River, the Slovenian capital is a stunning and affordable choice for a city break. No trip is complete without paying a visit to the fairy tale Bratislava Castle, which sits on a hill overlooking the city. The atmospheric Old Town is an inspiring spot to grab a glass of local wine and sample some of the regions delectable dishes. Hearty potato dumplings, savoury lokse pancakes and rich Segedin goulash are sure to fill you up after a day of exploring. The sprawling capital city of Poland is a firm favourite when it comes to nightlife, but there’s more to Warsaw than a great (and cheap) night out. The fascinating architecture reflects the country's turbulent history, with ornate neoclassical palaces, modern skyscrapers and post-war blocks all making up the skyline. Visit the Old Town, a UNESCO World Heritage Site, for a glimpse into the past, before jumping back into the present by enjoying Warsaw’s famous entertainment scene. With everything from quiet, traditional pubs to lively bars and clubs dotted throughout the city, Warsaw is a great spot for letting your hair down. Latvia’s capital is a melting pot of cultures, with German, Russian, Swedish and Jewish influences all helping to make up the city's unique ethos. The city’s dramatic skyline is dominated by gothic spires while down on the ground the streets are made up of quaint, colourful buildings that house hearty eateries, traditional taverns, and ultra-modern bars. 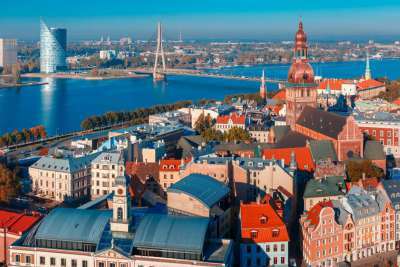 For a cheap snack, Riga’s central market is a treasure trove of traditional delicacies, with mouth-watering sausages, traditional black bread and local cheese all on offer. Wash it all down with a local beer along the Miera Iela strip. 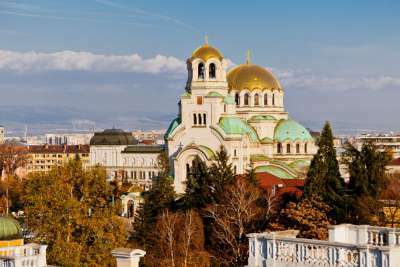 Despite being the largest city in Bulgaria, Sofia is known as one of the most intimate cities in Europe, making it a fantastic choice for a short break. The city effortlessly blends eastern and western culture, with domed churches, Red Army monuments and Ottoman mosques all peppering the landscape. Unlike other European capital’s, Sofia is renowned for its quiet and laid back atmosphere, so you can take a slow sojourn through the quirky cobbled streets, before enjoying a bowl of hearty soup and sipping a traditional Rakia. There’s more to the Costa Blanca than the resorts. 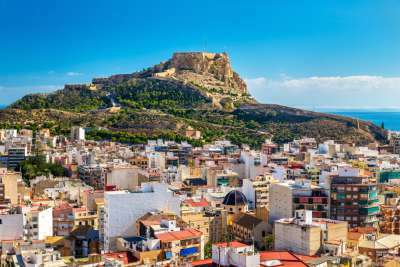 The coastal city of Alicante boasts a fascinating Old Town, historic castle and glittering waterfront adorned by top quality bars and restaurants. Dining out in Alicante is a foodie’s dream, with fresh seafood on just about every menu and traditional Spanish flavours around every corner. The nightlife is affordable and legendary, the streets come alive after dark with bars and clubs open throughout the night - and those golden sands are the perfect place to recover from a big night out. Known throughout Europe for its vibrant nightlife, cheap beer and mythical atmosphere, there’s never a dull time to visit Krakow. 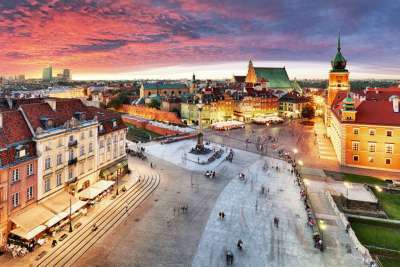 During the day tourists can roam the medieval Old Town, with its soaring churches, traditional bars and the ornate Rynek Główny - Europe’s largest market square. As one of Poland’s leading centres of academia, culture and art, the museums dotted throughout the city are well worth a visit. When the sun goes down the kooky clubs and energising bars open their doors to revellers, who can treat themselves to an unforgettable night without breaking the bank. The sun rarely stops shining in the Portuguese capital of Lisbon. The city is made up of seven hills bursting with colour and quaint cobbled streets, each overlooking ancient ruins, white domed cathedrals and incredible restaurants. Nestled on the coast, Lisbon is the place to be for fresh seafood, lovingly prepared in simple but delicious ways. You can grab a cheap bite to eat in a corner tasca while you’re out discovering the city. By night, the sleepy cobbled streets are transformed into hubs of vibrant nightlife, ripe for exploring. 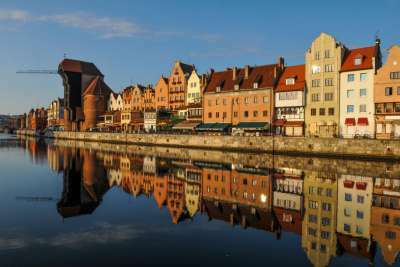 The port city of Gdansk is set apart from other Polish hot spots due to centuries of influence from other cultures. The architecture feels distinctly un-Polish, with elegant slender buildings and red brick churches peppering the landscape. The streets are filled with characterful cafes and unique shops, making it a fantastic destination for aimlessly wandering the cobbled lanes. The dockside beer gardens are fantastic and affordable venues to while away an afternoon, and a cruise along the river is a must for anyone interested in the area’s rich maritime past. 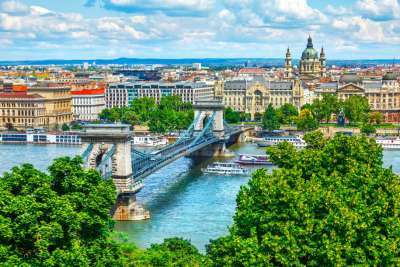 With old fashioned cafe’s, the curve of the Danube, and numerous thermal spas, Budapest is a fantastic destination for a relaxing break. The bridges across the river offer breathtaking views of the baroque, neoclassical and art nouveau architecture that’s on display throughout the city. When you need a break from sightseeing, the streets are abundant with pubs and bars serving delicious local wine and fruit brandy. A waft of spice from any of the eateries is enough to tantalise anyone’s taste buds, and the nightlife is second to nowhere in Europe. This historic gateway to the Algarve boasts rich Roman history, golden sandy beaches and easy access to the Ria Formosa nature reserve - as well as around 300 days of sun every year. 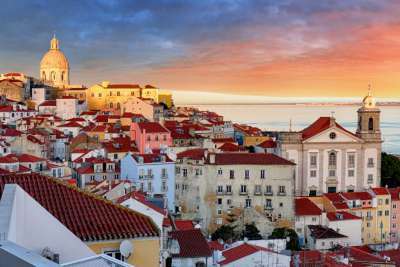 The town feels distinctly Portuguese with its beautiful marina, stunning plazas, historic Old Town and streets lined with outdoor cafes. The city is filled with sites to explore, with the medieval quarters home to numerous museums and churches. Faro’s popularity with local students means the nightlife is bountiful and cheap, and the nearby beaches boast the regions famous refreshing blue waters and warm golden sands.